let’s hope marcos appreciates his new younger brother better than this kid. i mean, if they had a bet going, then it’s probably ok, or maybe they switch off every 10 minutes. 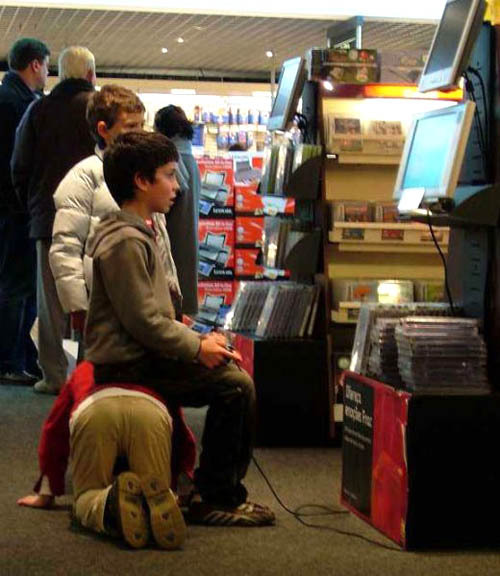 or maybe the kid on the bottom lost at rock band and that was the penalty. still haven’t settled on a name for the new boy – any and all suggestions welcomed.